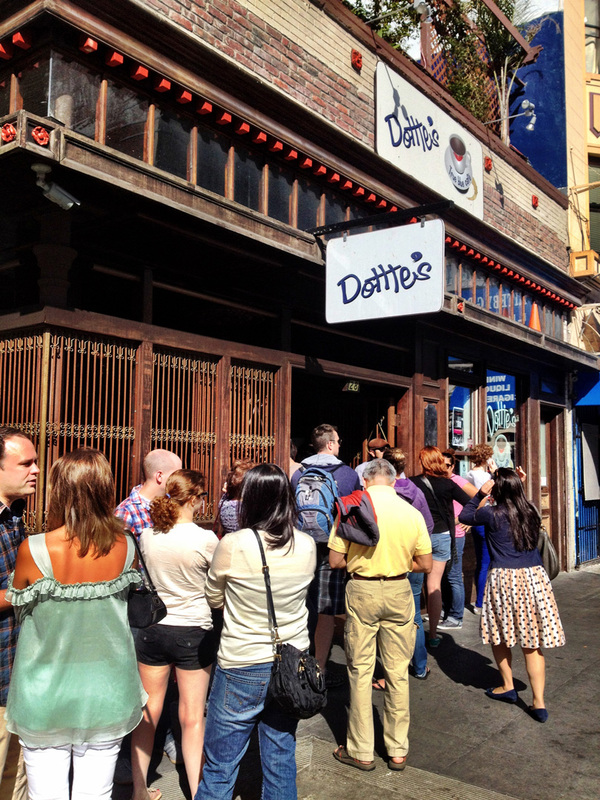 We hit up Dottie’s True Blue Cafe, which only had a 45 minute wait, and made ourselves comfortable in line by updating Facebook, Twitter and Foursquare to share that we were trying a new brunch place, and that even at 9:15 AM there was a wait. Standing one spot infront of us was a nice couple from the San Jose area in town to see Green Day’s, American Idiot, The Musical. The guy was tech savvy but the girlfriend seemed to be a bit of a technophobe. The four of us had a fun time joking back and forth about Twitter, blogging, privacy and “living in the now” instead of sharing in the now. She believed that by allowing our lives to be lived vicariously by others, we were not living our own lives to their fullest. She said this, along with privacy and safety issues, specifically with checking into places, was a real danger in new media. Though she made some interesting and valid arguments against our obsession and the dangers of new media, for me the real danger reared its ugly head days later. Monday morning I woke up to stiff and painful fingers. It appears that, at least for me, the real dangers of new media is arthritis! Apparently after years of typing code, writing blog posts and status updates, I’ve begun to wear out my fingers. It isn’t easy doing what I do on a with fingers that are stiff and tormented with pain. I went to Walgreens to find some relief. The pharmacist recommended I take Ibuprofen to help relieve the inflammation and capsaicin to reduce the pain. 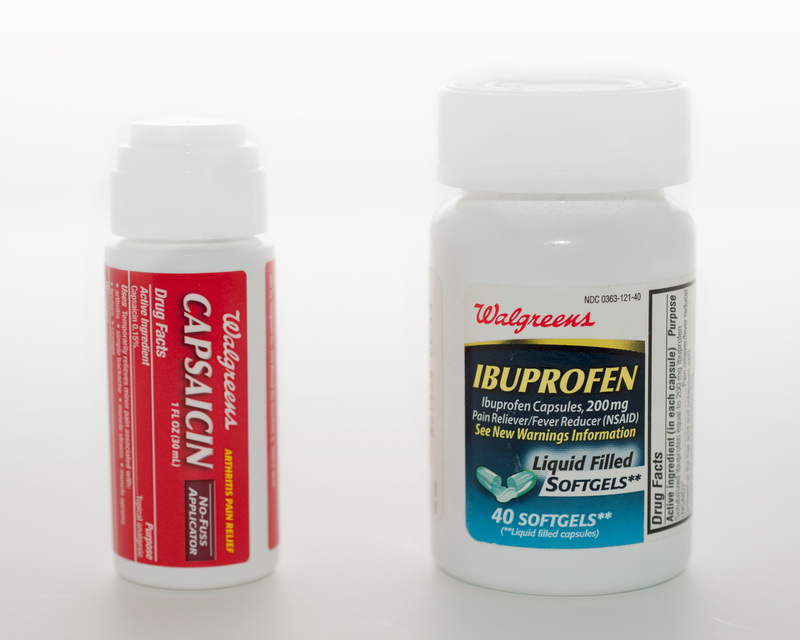 Ibuprofen was sort of a no-brainer as a non-steroidal anti-inflammatory drug (NSAID) but Capsaicin? Isn’t that what makes peppers hot? Capsaicin is the ingredient found in different types of hot peppers, such as cayenne peppers, that makes the peppers spicy hot. When a capsaicin cream or ointment is used on the skin (topical use), capsaicin helps relieve pain. Capsaicin works by first stimulating and then decreasing the intensity of pain signals in the body. Although pain may at first increase, it usually decreases after the first use. Apparently it takes about a week for the pain to start subsiding. Oh and you aren’t actually supposed to use capsaicin on your hands. Turns out putting the chemical that makes peppers burning hot onto your hands means you spread that heat anywhere you touch yourself on your body. You only make that mistake once, or in my case, constantly. So this is my prescription for relief (since I can’t actually get a prescription). In a way, it’s also my solution to the real dangers of taking part in the world of new media, Also known as the repetitive stress injury, arthritis. Now I really need to get to work learning Dvorak. This entry was posted in Life, Nerdiness and tagged arthritis, arthritis cure, dangers of social media, Dottie's True Blue Cafe, New media, privacy, repetitive stress injury, Social Media, trigger finger, typing leads to arthritis by Justin Scott. Bookmark the permalink. And I hope your fingers feel better. When I had a BlackBerry, I noticed that my thumbs felt stiff/tired some days. Such is life. @AdamBritten Thanks! I think if I can get a week away from typing on a computer, that will help. Unfortunately I don’t see that happening any time soon!I have often thought about packing a bag with just the essentials (clothes, money, passport and camera) and hitting the road. Maybe go somewhere exotic and just be with the world around me, make it my personal time away from technology (with the exception of my camera of course). How awesome would that be? Until then, I think we should all take your advice and unplug, even in San Francisco, every once-in-a-while. Thanks for the comment! @AdamBritten Oh I’m not sure I could actually do it, but I’d sure like the chance to try! I went to Puerto Rico for a couple weeks and tool just my phone and iPad. Even that was freeing. Most of my time it was either just me, a camera and a moped or me, a drink and the beach. Doesn’t get much better than that! I would be surprised if Facebook was still at the top considering how social media has changed just in the past few years. The internet is an ever changing machine that allows creative individuals to test the limits of what consumers are looking for and need. I agree with both of you. I’m perfectly comfortable spending my 45-minute-wait for brunch on Twitter or Foursquare I also think it’s nice to unplug sometimes and just enjoy a moment for what it is, without feeling the need to tell other people about it.